With the glossy jet black iPhone 7 leading the way in sales, Apple is expected to switch to a more scratch-resistant all-glass finish for the front and back of a 2017 iPhone redesign, with stainless steel edges, rather than aluminum, for premium models. Expectations for Apple's 2017 iPhone lineup were shared on Thursday by analyst Ming-Chi Kuo of KGI Securities, in a research note obtained by AppleInsider. Kuo said that preorders for the iPhone 7 show the jet black model accounting for as many as 35 percent of all sales, despite the fact that it is limited to higher-capacity, more expensive models. Given that the iPhone 7 series marks the first time Apple has differentiated design based on capacity, limiting the glossy jet black option to 128- and 256-gigabyte models, he believes the company may push further in that direction in 2017, with a new stainless steel frame. "As all-glass casing is not possible at present given technological bottlenecks, a metal frame surrounding the edge is necessary for reinforced structure design," Kuo wrote. "As stainless steel has a better look than aluminum and costs more, we expect only high-end new iPhone models to come with a stainless steel frame next year." If true, that strategy would borrow from the Apple Watch lineup, where the entry-level models feature a dull aluminum, and mid-range versions boast a shiny, more durable stainless steel finish. As for the expected switch to glass, Kuo noted that glossy metal casings, like are found on the iPhone 7, are prone to scratches. Apple itself has warned consumers that the jet black aluminum polished finish on the iPhone 7 is vulnerable to scuffing and scratching. Glass, however, is more durable and scratch-resistant while also offering a glossy finish. The KGI analyst believes all 2017 iPhone models, in both the 4.7- and 5.5-inch sizes, will feature a glass chassis. 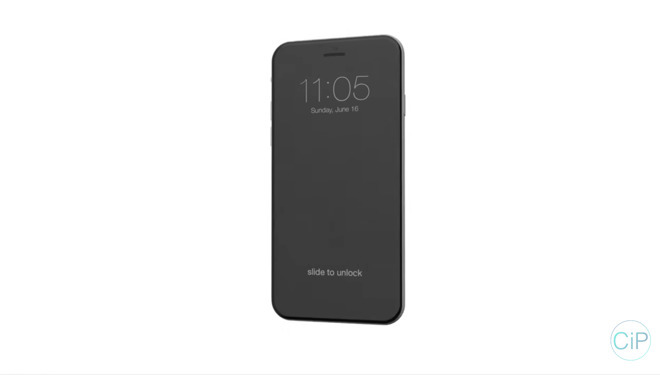 Previously, his supply chain sources suggested the glass front and back would be limited to the larger Plus model, but the popularity of the jet black iPhone 7 may have prompted the company to revise its strategy. 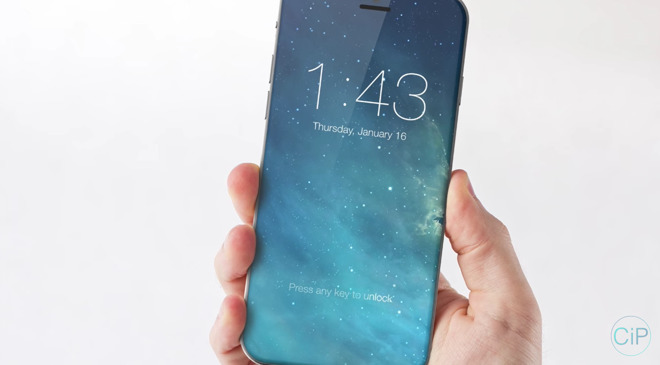 It's been suggested that the next iPhone will be a complete redesign with an edge-to-edge OLED display, concealing the home button, Touch ID fingerprint sensor, earpiece and FaceTime camera beneath the screen. The radical shakeup to the iPhone's design could be to commemorate the iconic handset's 10th anniversary.